Get continuous guidance and automatic rerouting, even if you lose your network connection after you’ve begun a route. Nokia (aka was Ovi Maps) did have this advantage now seems to be a key part of Google Maps Navigation. 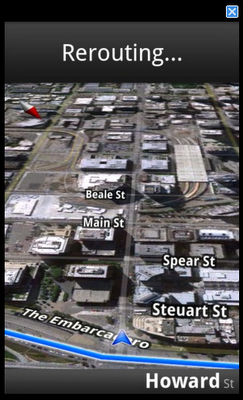 With Google Maps Navigation the entire data is stored on the device (in vector) form. 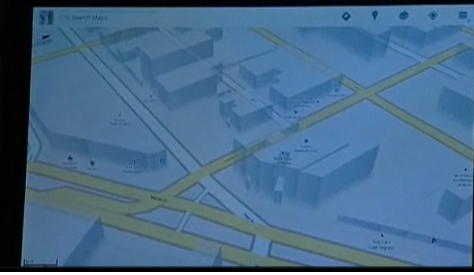 What is next for Google Maps - Offline Routing - 2.5D Buildings (example from Google Tablet above). Offline Streetview (unlikely do to the amount of storage required). Real-Time [Connected to Mobile/Cell Network] - Weather - Google did for a short while introduce Weather. Custom Overlay - most likely of them all - providing the format and files sizes are quick enough to download.